What is the impact of China's efforts to tackle climate change? - Unearthed What is the impact of China's efforts to tackle climate change? What is the impact of China’s efforts to tackle climate change? China, the world’s biggest emitter of climate-changing greenhouse gases, may set an absolute cap on its CO2 emissions from 2016 – according to sources quoted by Reuters. The move comes after a series of coal control measures driven by severe air pollution across the country. 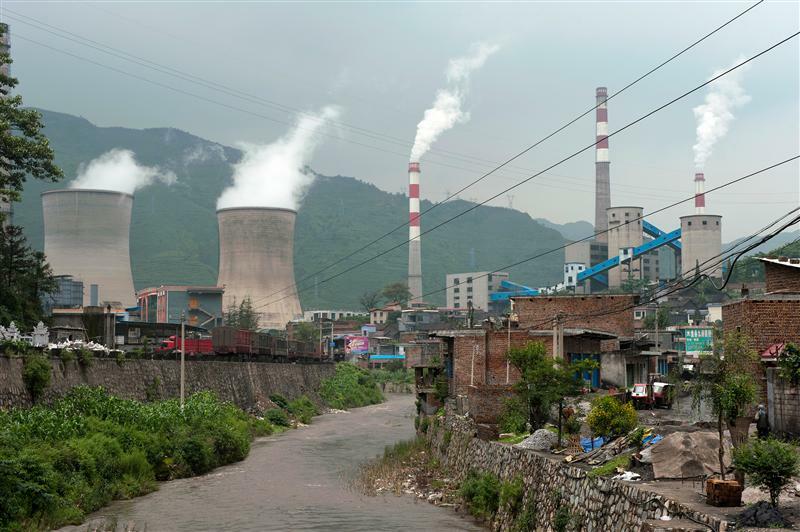 A recent analysis by Greenpeace China suggested the measures could significantly cut China’s greenhouse gas emissions. If implemented without new coal plants in other regions the measures announced to date could put China’s emissions almost in line with a 2 degrees trajectory in 2020. However the reports in Reuters on overall emissions cuts appear less ambitious suggesting the Chinese leadership has room for negotiation on the scale of emissions cuts. The degree to which China cuts emissions will depend on a range of factors – including the degree to which the country invests in a string of new coal projects in the west of the country. In September last year, China’s State Council released an “Airborne Pollution Prevention and Control Action Plan”, which set a policy framework to ramp down emissions, emphasised reducing coal use, and obliged Chinese provinces to introduce detailed plans to cut pollution. Twelve Chinese provinces – covering 44% of the country’s coal consumption – have already pledged to cut coal use in one way or another. If their commitments are implemented, the analysis by Greenpeace East Asia suggests, these measures could significantly cut China’s coal use and emissions – putting China close to a path consistent with limiting global climate change. Those emissions reductions still depend the enforcement of the coal consumption measures and there remains a risk that coal projects outside the capped areas could offset some of the reductions. Over half of global CO2 emission growth between 2002 and 2012 was due to increased coal burning in China. China’s coal consumption has become the single most significant determining factor for the future of the world’s climate. Ten provinces including Beijing, Shanghai and Guangdong, have seen absolute levels of coal consumption fall from 2011 to 2012, the latest year for which province-level data are available. In total, these ten regions reduced their coal use by 66.5 million tonnes. So far, six Chinese provinces (green areas) have included absolute coal consumption reduction targets in their air pollution action plans. The green areas cover a significant slice of China’s total coal use: Shandong is the largest coal consumer among Chinese provinces, burning as much coal as Germany and Japan combined; Hebei ranks fourth among Chinese provinces and Shaanxi is also in the top 10. The blue areas – the Yangtze River Delta (YRD) and the Pearl River Delta (PRD) – have an ambition for absolute reductions in coal use by the end of 2017. Additionally, the yellow provinces – Liaoning and Jilin – will have to limit growth in coal use to less than 2% per year in the period from 2013 to 2017. Until very recently, all of the provinces covered by the plans, with the exception of Beijing, have seen coal consumption grow rapidly. Combined, the measures could reduce CO2 emissions by 700 million tonnes in 2017 and 1,300 million tonnes in 2020 – the same as Canada and Australia’s total emissions. Assuming a business-as-usual world in which Chinese provinces maintained two thirds of their average rates of growth in coal consumption between 2006 and 2011, then the coal control measures imply reductions in coal use of 350 million tonnes by 2017 and 655 million tonnes of coal use by 2020. When translated into CO2 emission reductions, these reductions equal to about 700 million tonnes in 2017 and 1,300 million tonnes in 2020 – assuming the measures are enforced and not nullified by rises elsewhere. Implementing the coal control measures would put China’s CO2 emissions closer to where they need to be to give a chance of limiting global climate change. The expected CO2 reduction from the 12 regions alone (about 700 Mt by 2017 and 1,300 Mt by 2020) would bring China’s projected carbon emissions in 2020 close to a trajectory that the International Energy Agency says would be in line with having a 50% chance of limiting global climate change to 2 degrees Celsius. Aside from the 12 provinces that have pledged coal control measures, 17 provinces have announced intentions to cap or to reduce coal use. So substantial further reductions in coal consumption covering most of China’s coal use could be expected if these provinces spell out the details of their intentions.